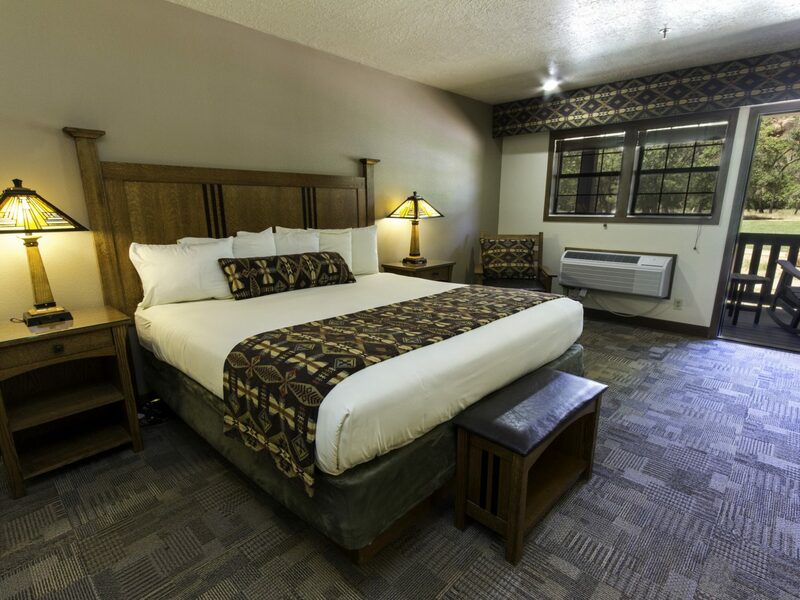 Imagine waking up, looking out your hotel window, and seeing the plateaus and gorges of the Grand Canyon or enjoying a cocktail as shooting stars pass overhead across the skies of Death Valley. 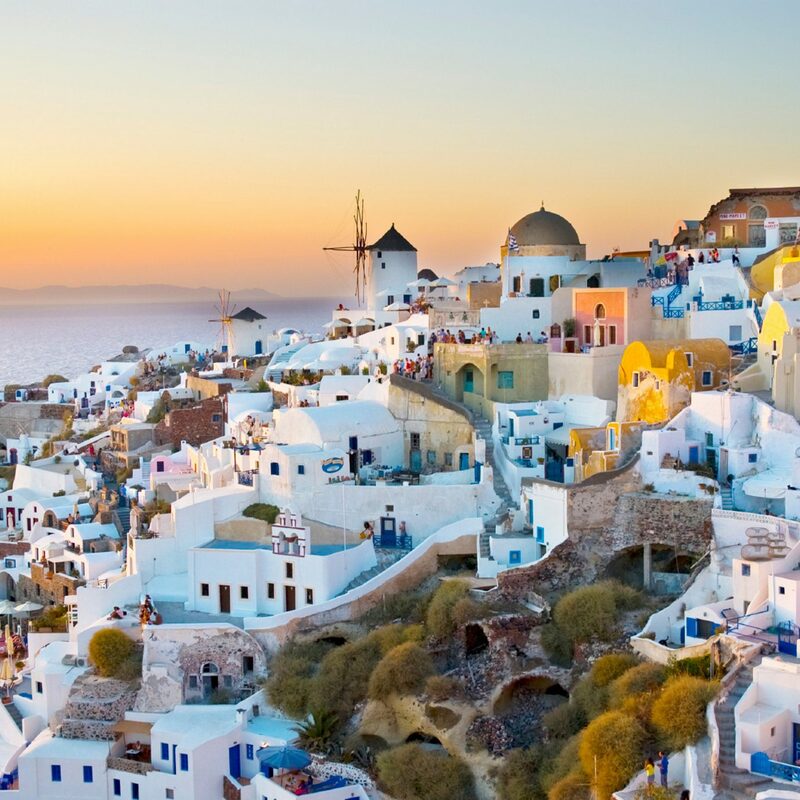 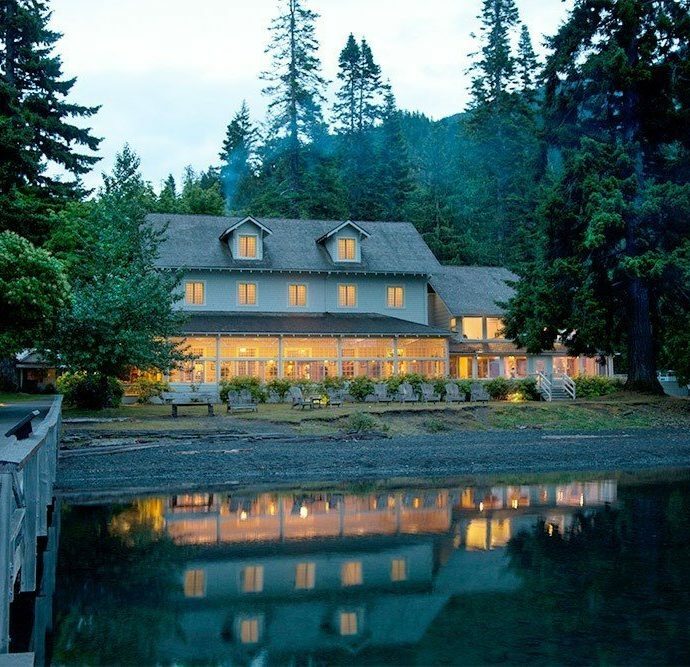 At these properties, you can live these experiences IRL. 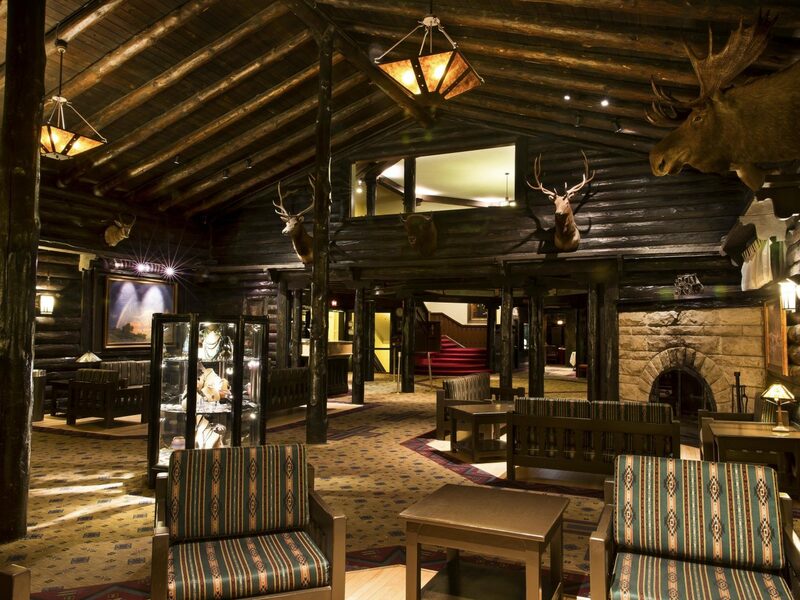 Here, the most incredible hotels inside National Parks. 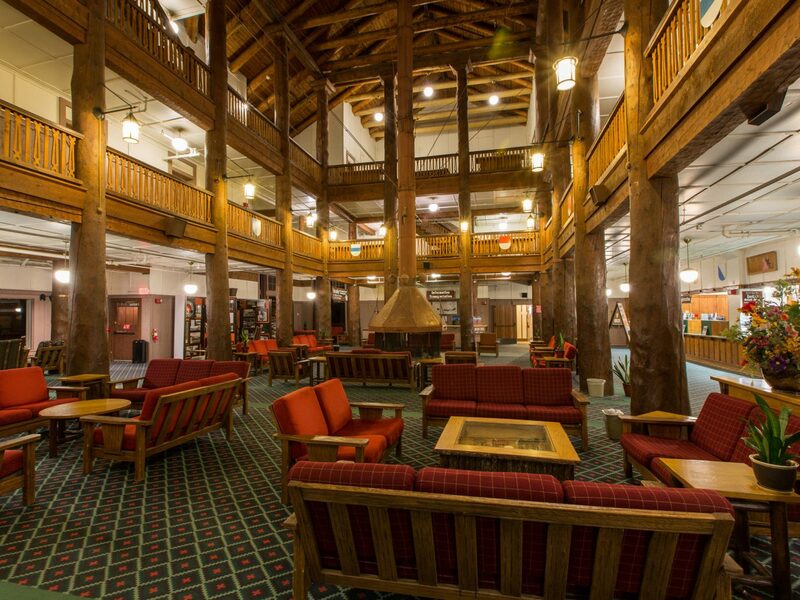 One of the earliest examples of parkitecture, the practice of designing to emphasize and blend in with nature, Old Faithful Inn remains the largest log structure in the world. 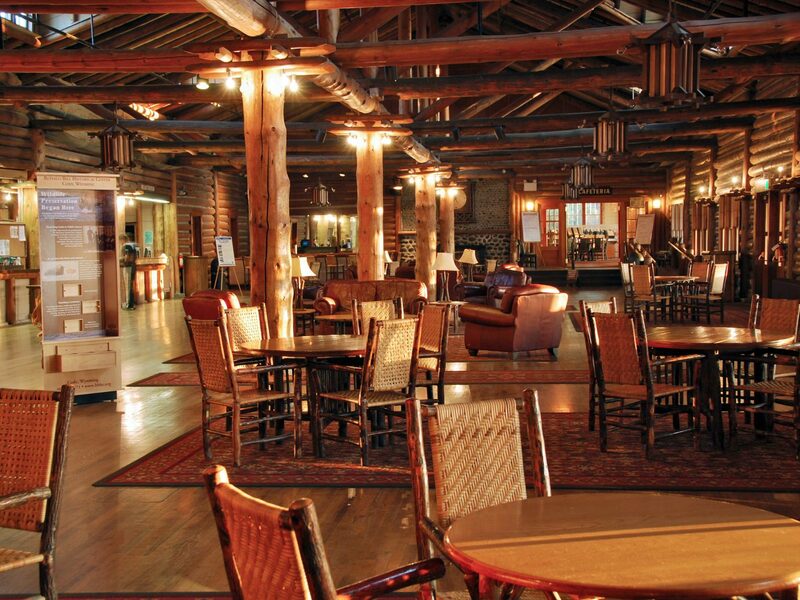 The Inn is Yellowstone’s most requested lodging thanks to the draw of having one of the world’s best-known geysers just outside its door, as well as elegant architectural details like the soaring lobby with a massive stone fireplace and a handcrafted copper, wood, and wrought iron clock. 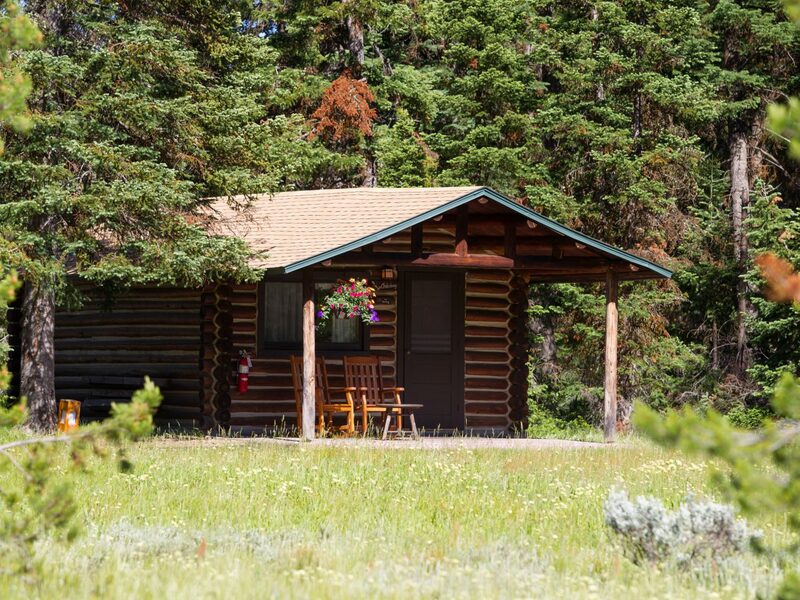 The lack of TV, radio, or wireless access in rooms encourages guests to get outside and spot the bison, elk, moose and other animals that roam the park’s 3,500-square-mile wilderness. 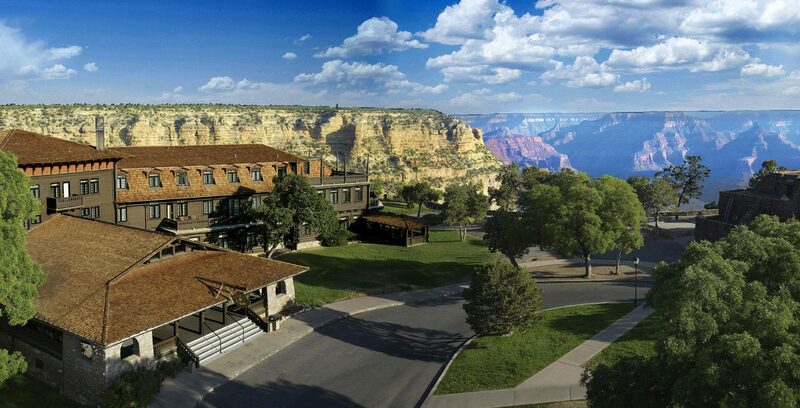 You can’t beat the view from El Tovar’s perch directly on the southern rim of the Grand Canyon, which when it opened in 1905 was so far from civilization that water had to be brought in by train. 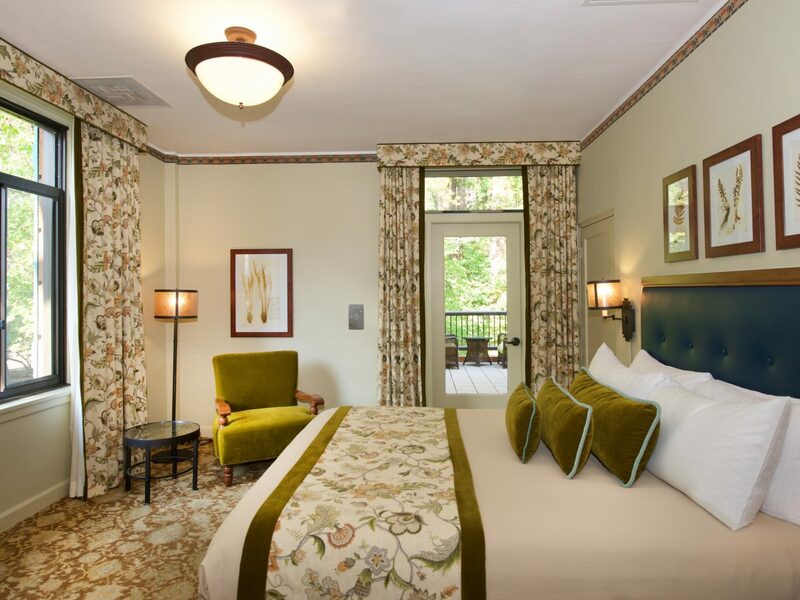 It’s since become one of the most famous (and popular) National Park hotels and was designated a National Historic Landmark in 1987. 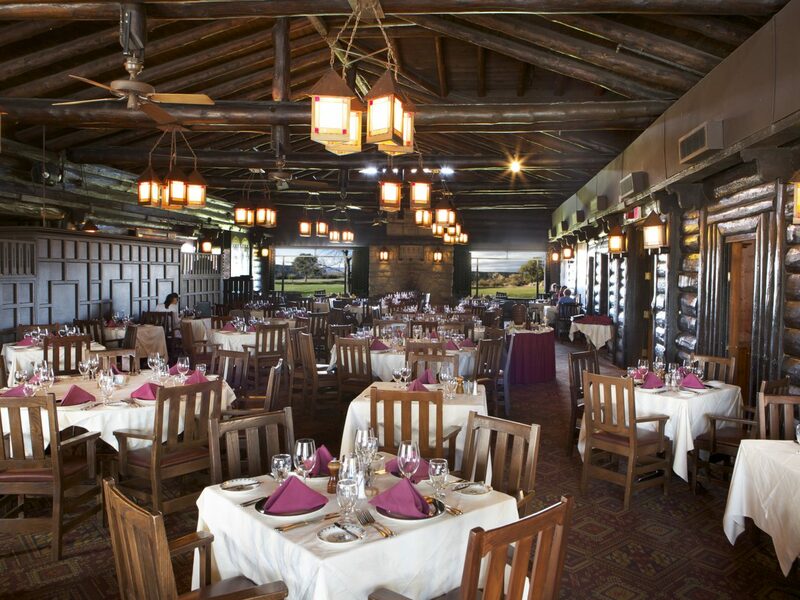 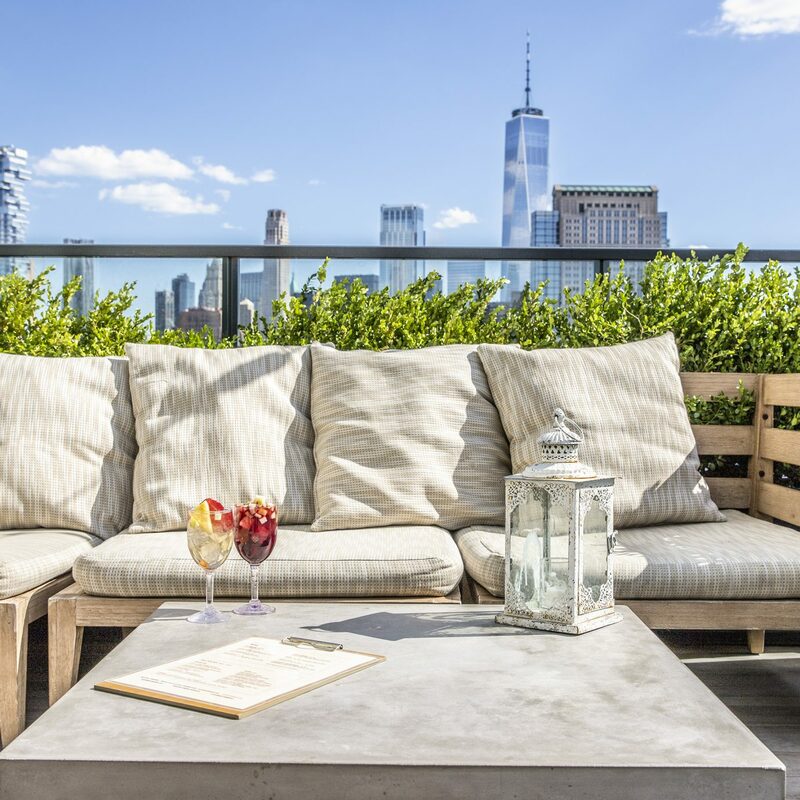 Theodore Roosevelt, Albert Einstein, and Bill Clinton have spent the night here and dined at the hotel’s rustic El Tovar Dining Room, where visitors can start their day with hearty local fare like pancakes with Arizona prickly pear syrup or unwind in the evening with a bottle from the restaurant’s award-winning wine list. 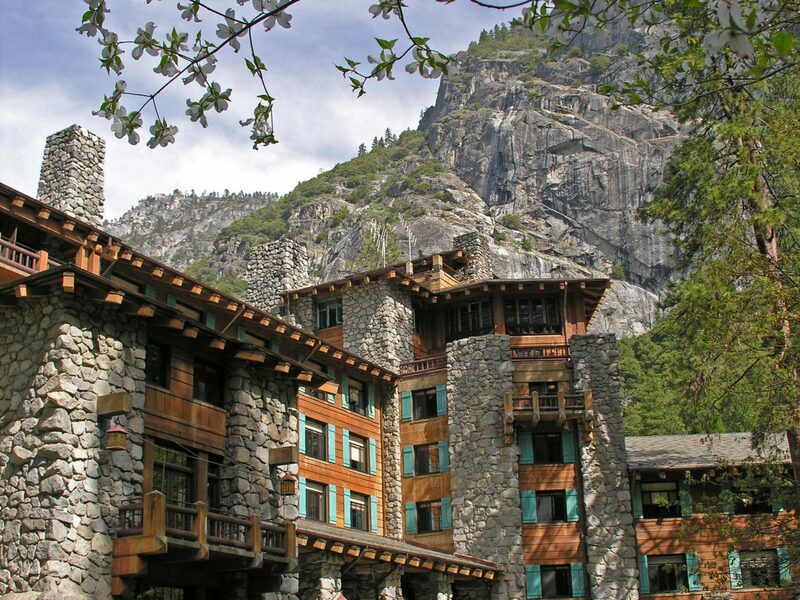 Built in 1927 and recently renovated, this year-round National Historic Landmark was designed with its famous landscape in mind—visitors will find views of Yosemite Falls, Half Dome and Glacier Point throughout. 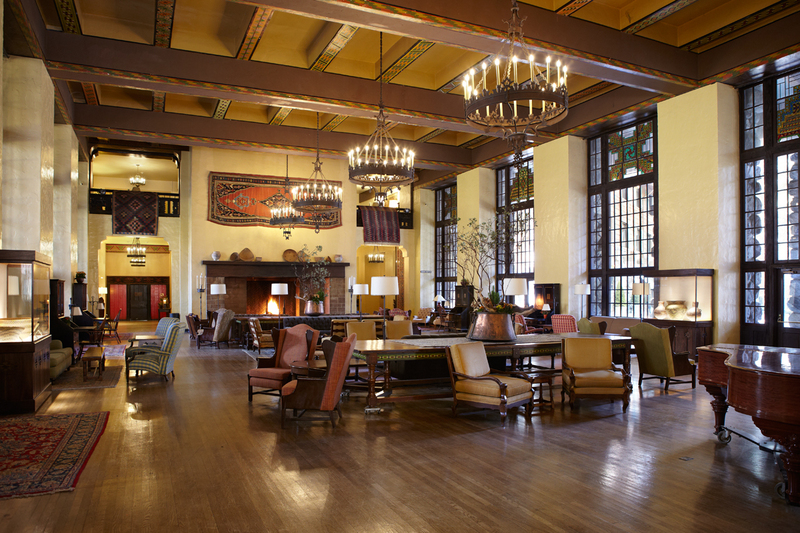 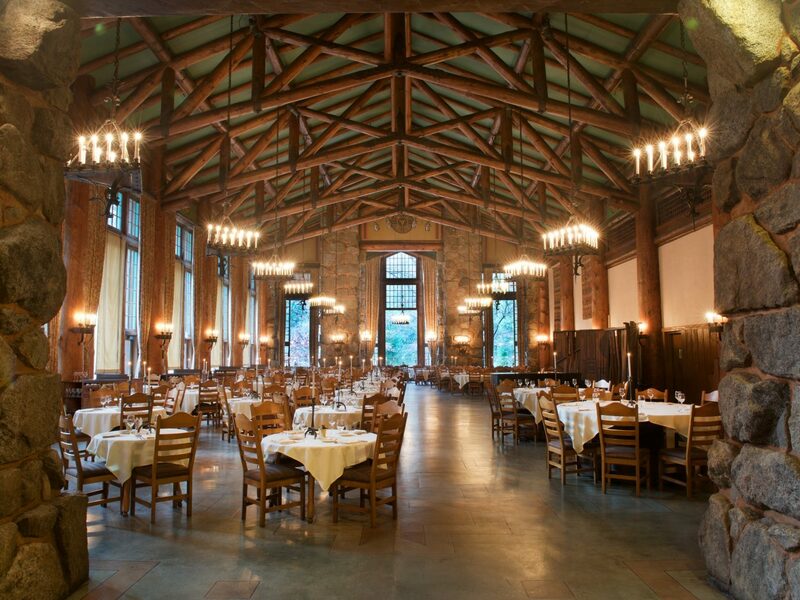 Art Deco and Native American architectural and design influences are on display in soaring common spaces like the Majestic Yosemite Dining Room with 30-foot ceilings and giant picture windows, and the Great Lounge where guests can curl up with a drink in front of the roaring fireplace. 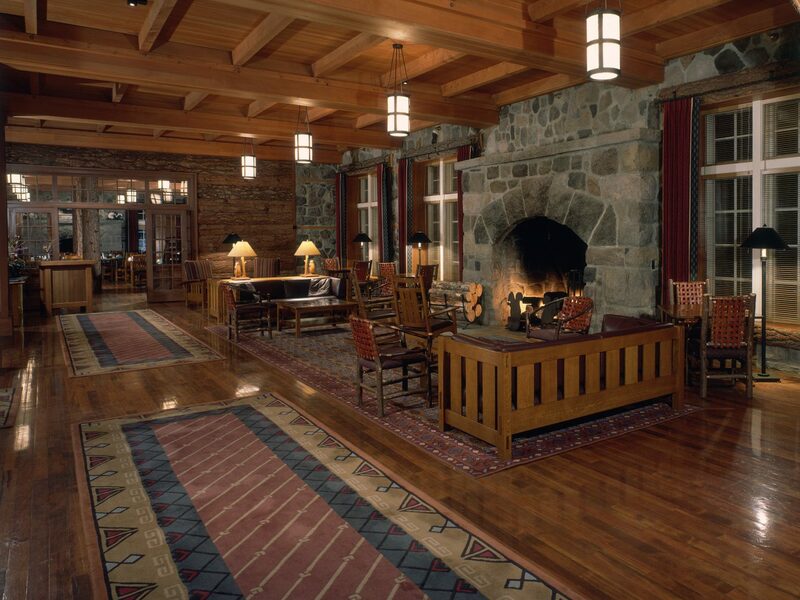 Foodies take note: the hotel hosts several destination dining events throughout the year including its Bracebridge Dinners in December, a seven-course feast and theatre performance with more than 100 cast members dressed in 18th century finery (the first was directed by photographer Ansel Adams). 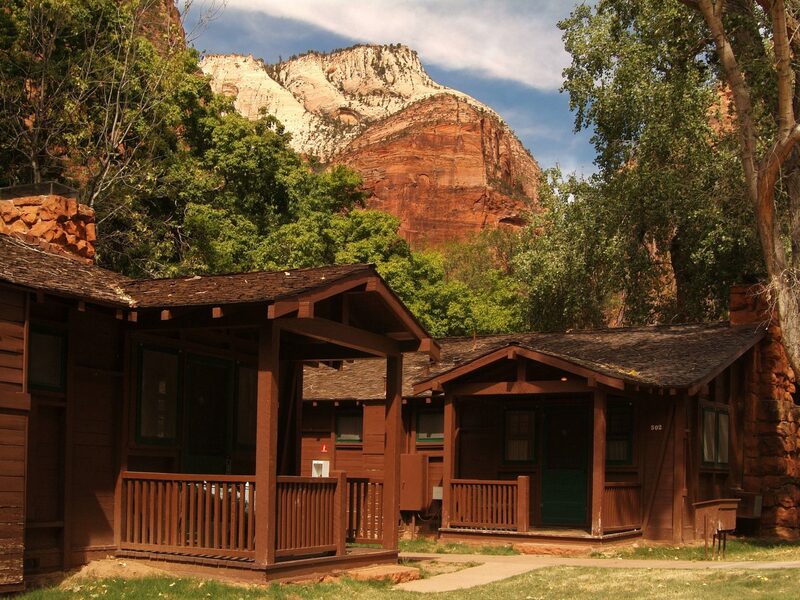 The only hotel within the hiker’s paradise that is Utah’s Zion National Park, Zion Lodge combines the rustic vibe of 1920s cabins with modern amenities like gas log fireplaces, microwaves, and mini-fridges. 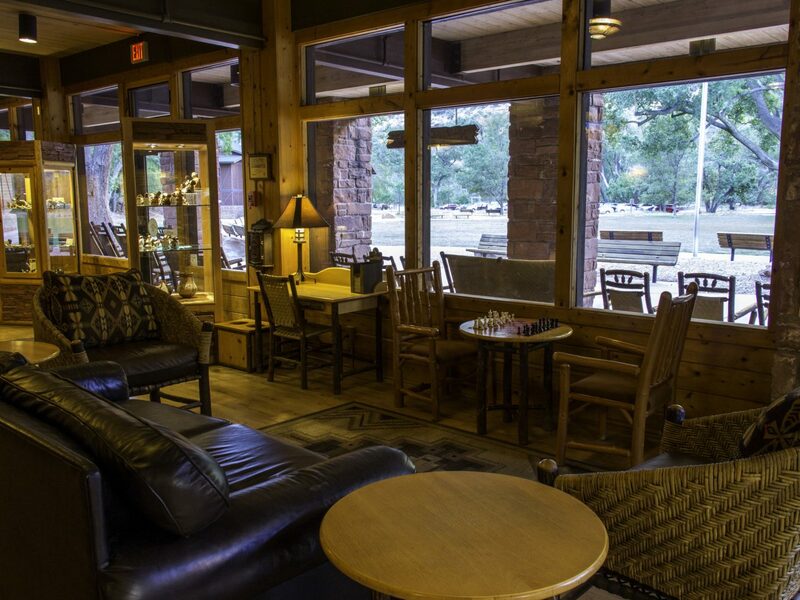 Two restaurants and rental bikes are onsite, and the Lodge can arrange a variety of ways to experience the park’s famous red cliffs including horseback rides and ranger-led tours. 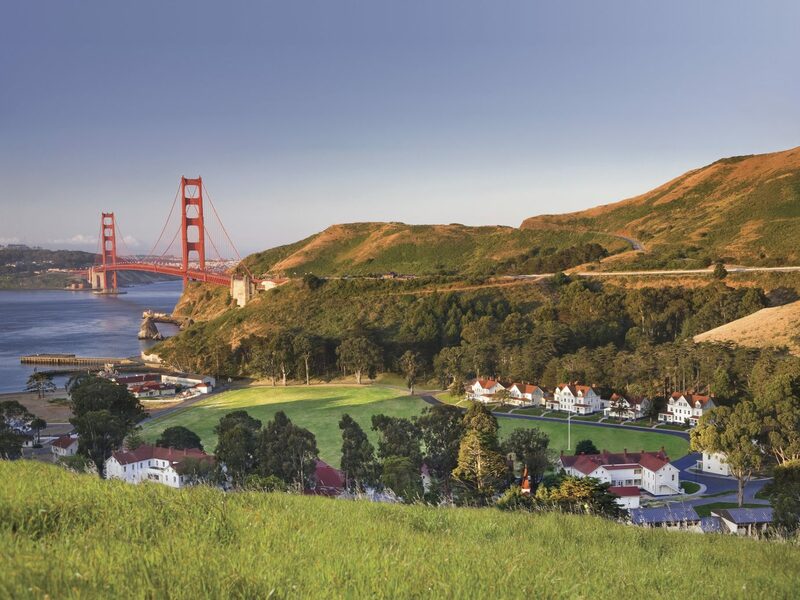 With a postcard-perfect setting at the foot of the Golden Gate Bridge on the San Francisco Bay, Cavallo Point is a destination in and of itself with luxurious extras like complimentary morning yoga classes, a splurge-worthy spa, and an award-winning cooking school. 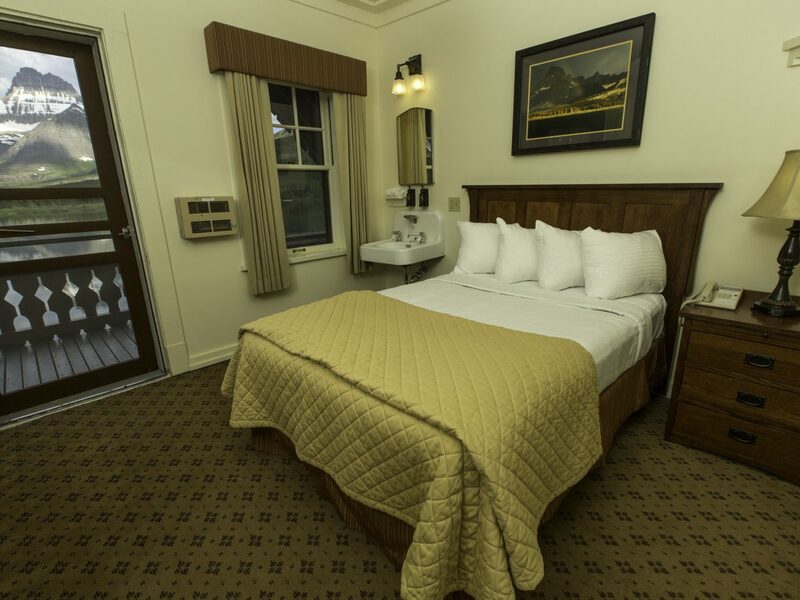 The hotel offers both modern guest rooms with gas fireplaces and private decks or patios and luxuriously restored historic guest rooms, formerly barracks for the officers posted at Fort Baker. 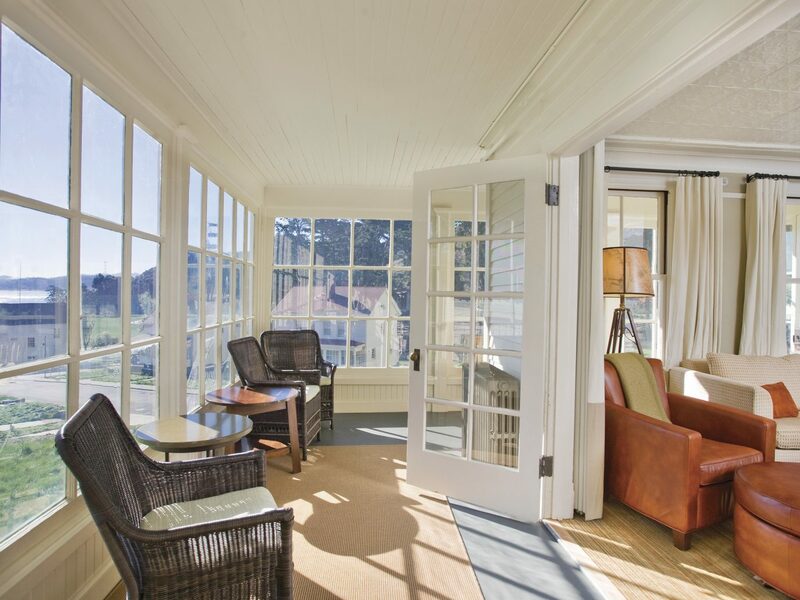 The best way to end a day here is with drinks and dinner on the porch of Murray Circle restaurant (the hotel provides blankets should guests get chilly) to watch as the bridge lights up after nightfall. 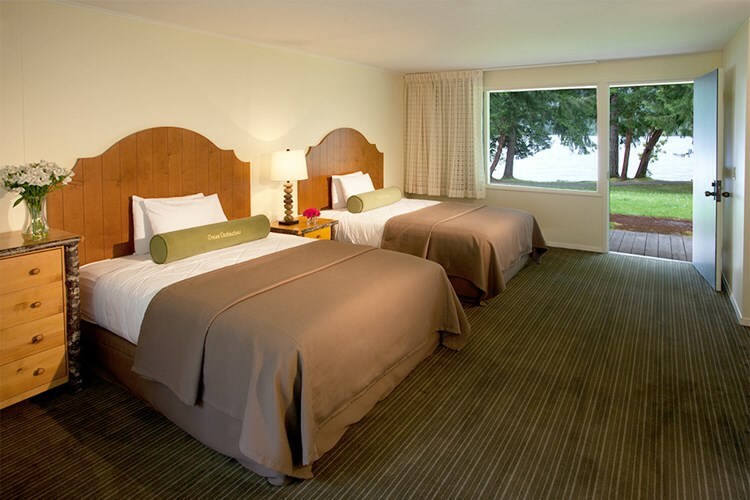 Families who travel with their four-legged members will also appreciate pet-friendly room options, organic treats, and a nearby beach where dogs can run off-leash. 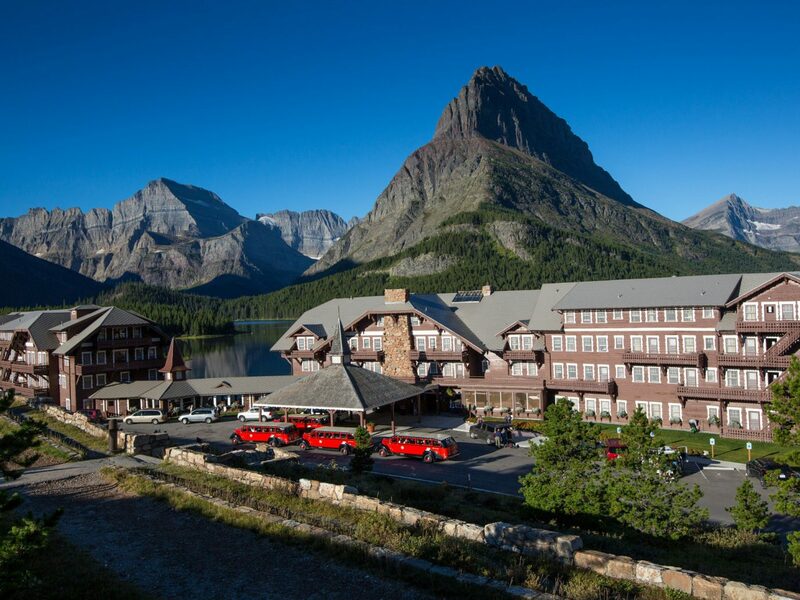 Built by the Great Northern Railway in 1914-15, the remote Many Glacier Hotel is situated on the shores of Swiftcurrent Lake surrounded by the Rocky Mountains. 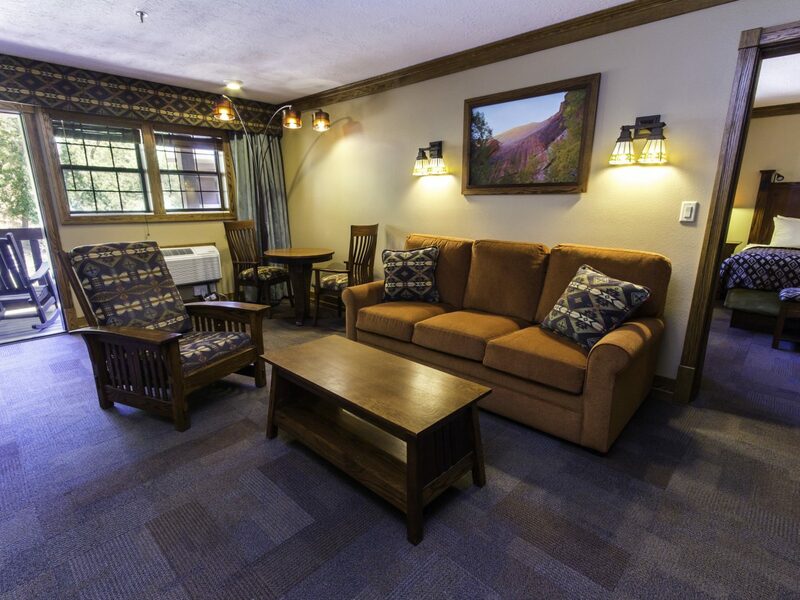 Guest rooms don’t have televisions encouraging travelers to spend their days outdoors fly-fishing, hiking Grinnell Glacier, horseback riding through forested mountains and lush meadow valleys, or simply relaxing on a boat trip. 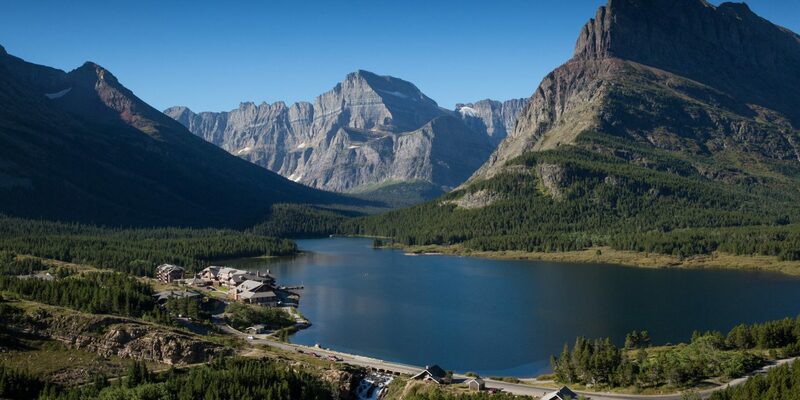 Well worth doing is the guided tour aboard the park’s iconic Red Buses, widely considered to be the oldest touring fleet of vehicles in the world, which feature roll back tops that make it easy to take in the mountains and Montana’s Big Sky. 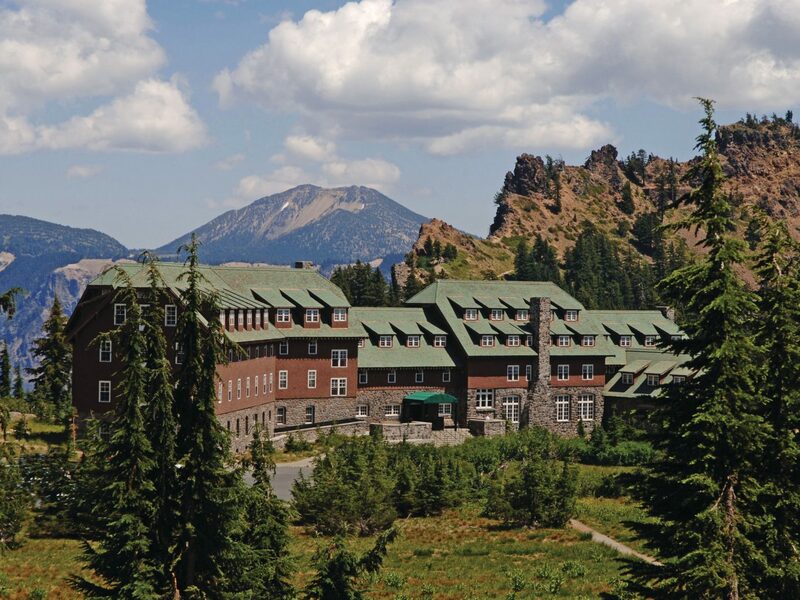 Formed by the collapse of the volcano Mount Mazama, Crater Lake is the deepest in the U.S. and draws visitors with its bright blue waters and excellent hiking trails. 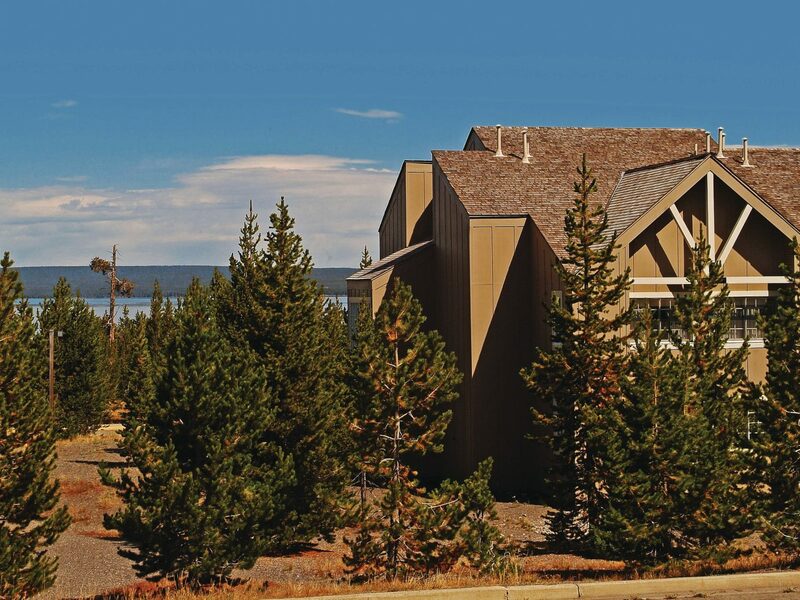 The Lodge is positioned on one end of the caldera, with lakeside guest rooms affording the best views. 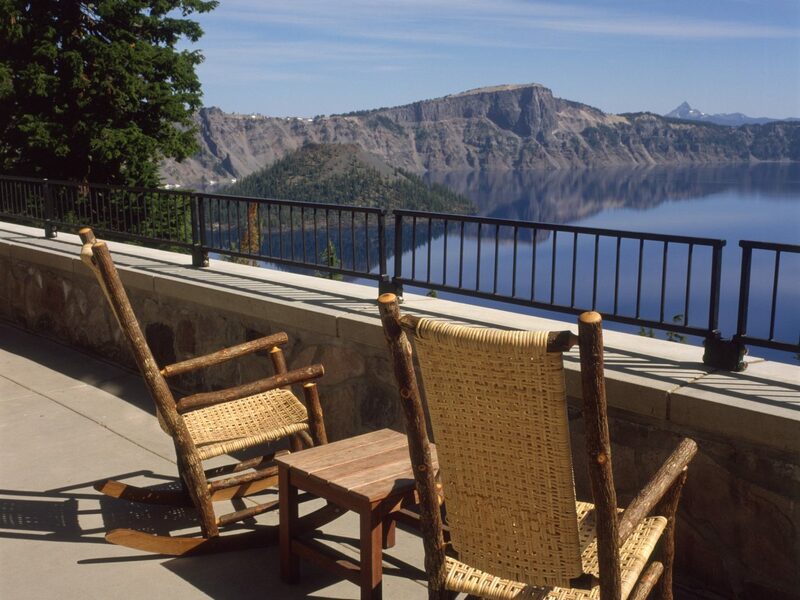 Visitors can start the day here with breakfast overlooking the water at the Crater Lake Lodge Dining Room (order the Coastal Benedict, the Lodge’s version of Eggs Benedict made with Pacific crab or Oregon smoked salmon), then learn about the park’s geology on ranger-led boat tours that run from late June to mid-August. 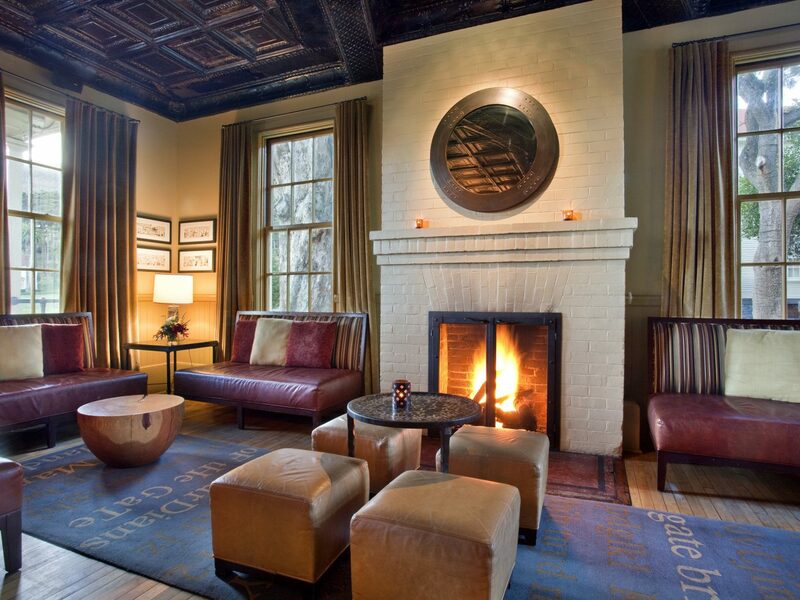 If a National Park could be designed for romance, it would look something like Georgia’s Cumberland Island. 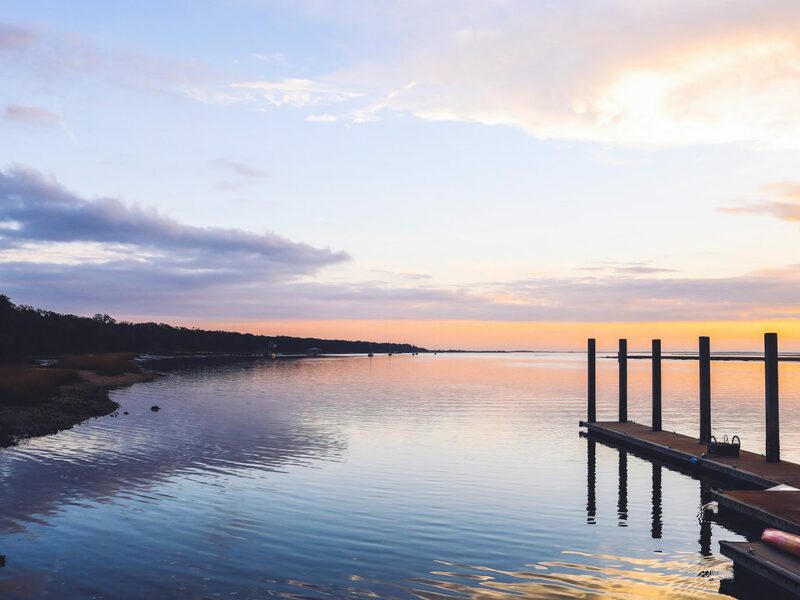 Wild horses roam the beaches, bike paths cut their way through tunnels of Spanish Moss, and 17 miles of undeveloped beach are perfect for swimming, beachcombing, and picnicking a deux. 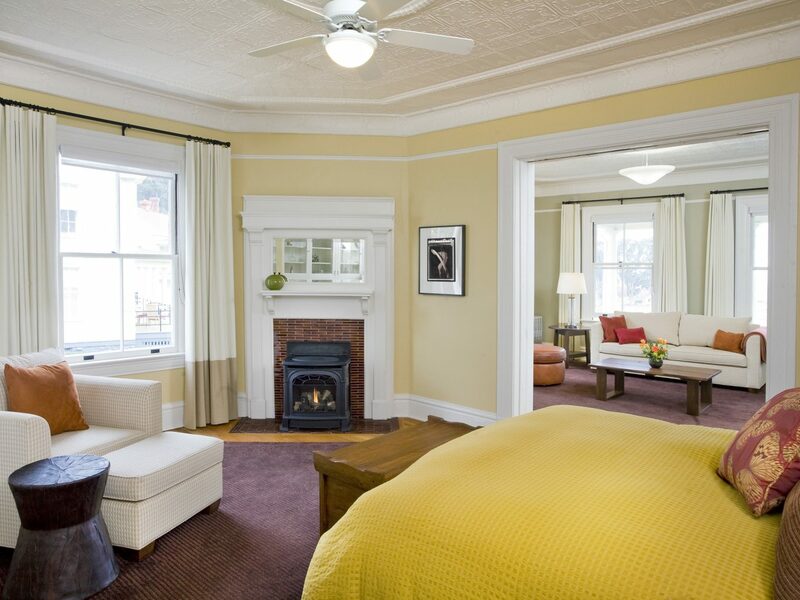 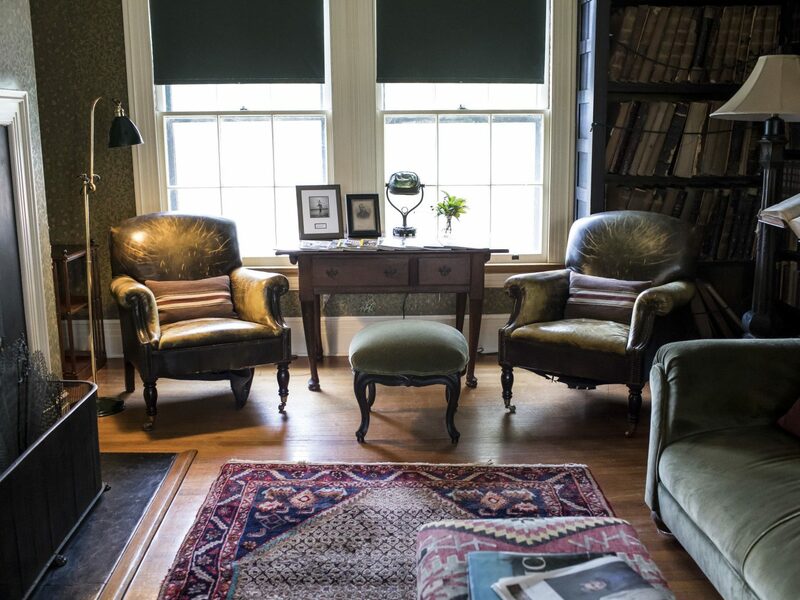 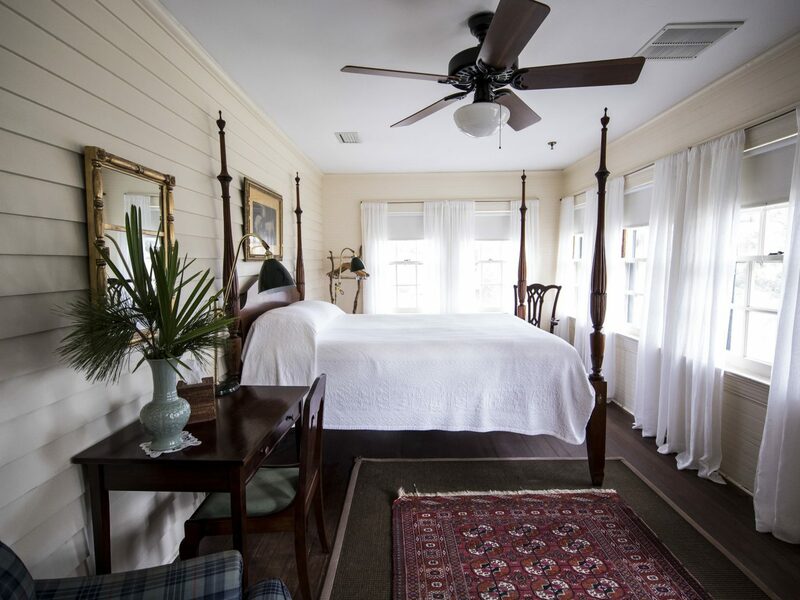 The 16-room Greyfield Inn fits right in, with charming details like four-post beds, a sprawling front porch, and extensive gardens. 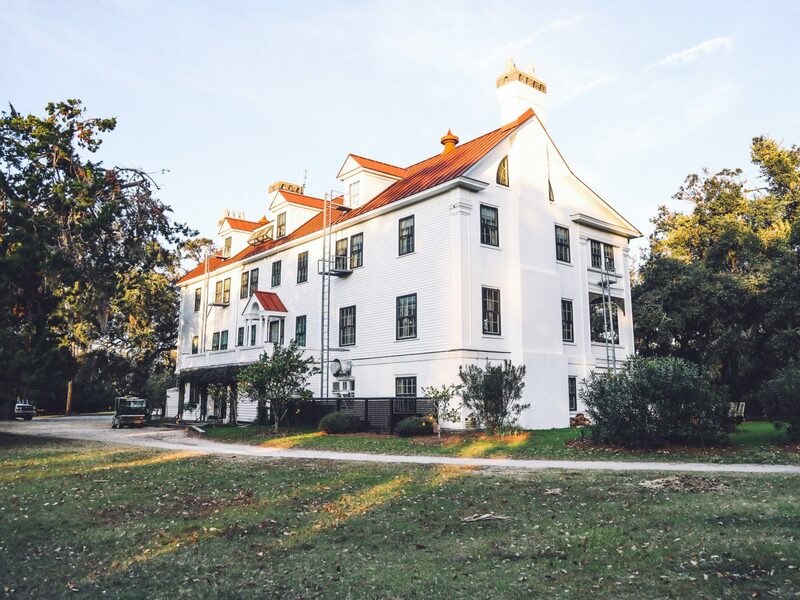 The all-inclusive rate includes a Southern breakfast, picnic lunch, farm-to-table dinner, and an hors d'oeuvres hour daily, as well as use of bikes, kayaks, beach gear, fishing equipment, and walks with a naturalist to spot birds and other wildlife in the maritime forest. 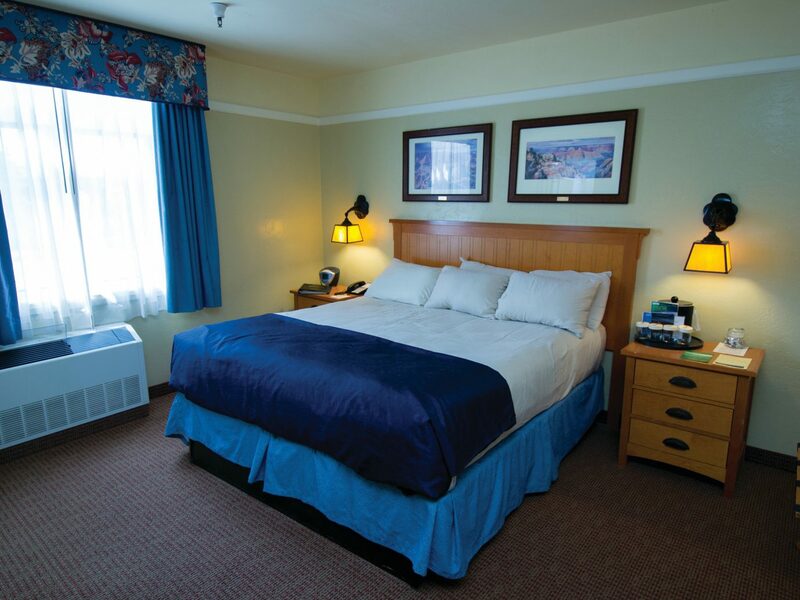 Between May and September, visitors will also see Loggerhead sea turtles, who nest on Cumberland’s beach. 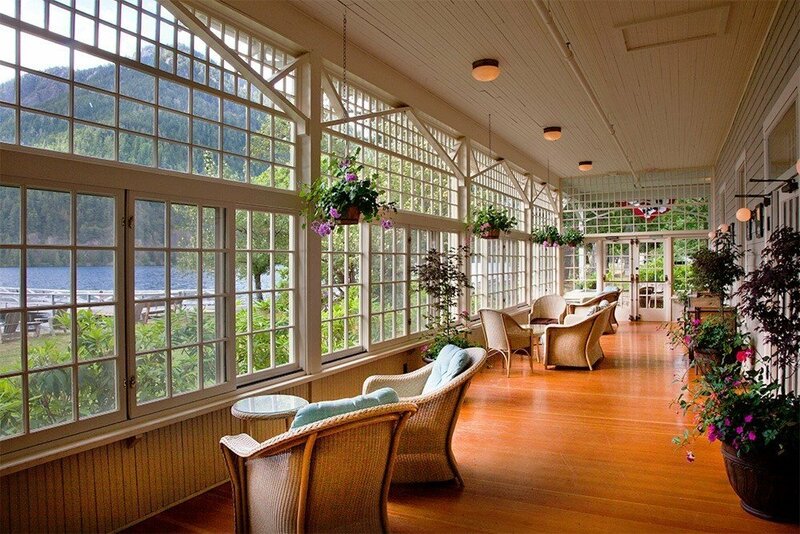 Located on the Olympic Peninsula along Lake Crescent, this historic lodge feels a bit like a high-end summer camp thanks to its waterside Roosevelt Cottages equipped with fireplaces (but not telephones or TVs), paddle boat rentals on the beach, and the groves of giant fir and hemlock trees. 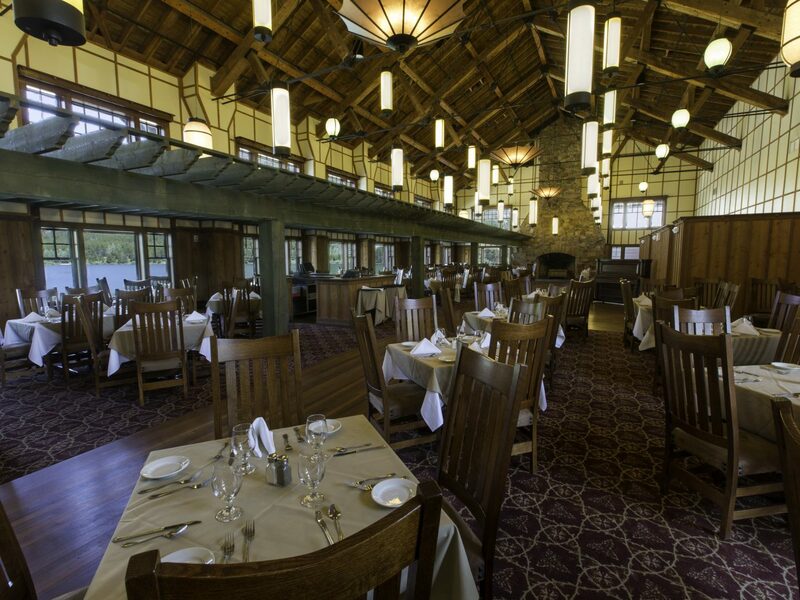 Meals are served at the Lake Front Dining Room with menus focused on Northwest cuisine like sea-salt seared Pacific halibut, as well as regional wines and a lengthy children’s menu even adults will be tempted by (think griddled PB&J and local fish and chips). 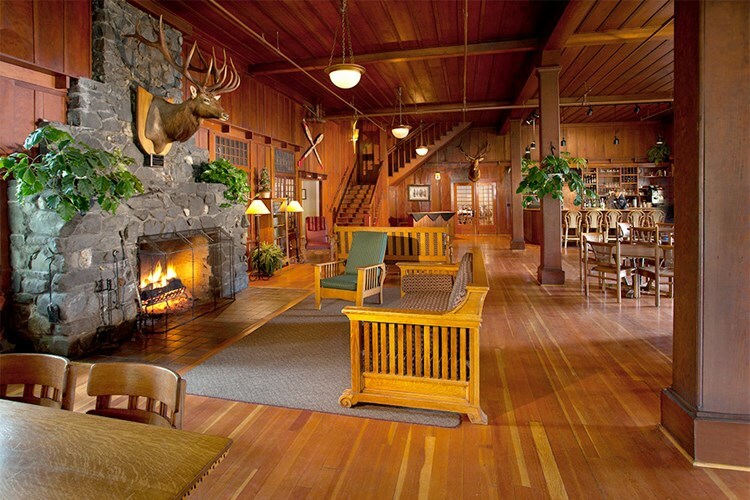 In the park, guests can visit the mineral hot springs for a soak, tour the Quinault Rainforest, and bike the Spruce Railroad trail along the north shore of the lake. 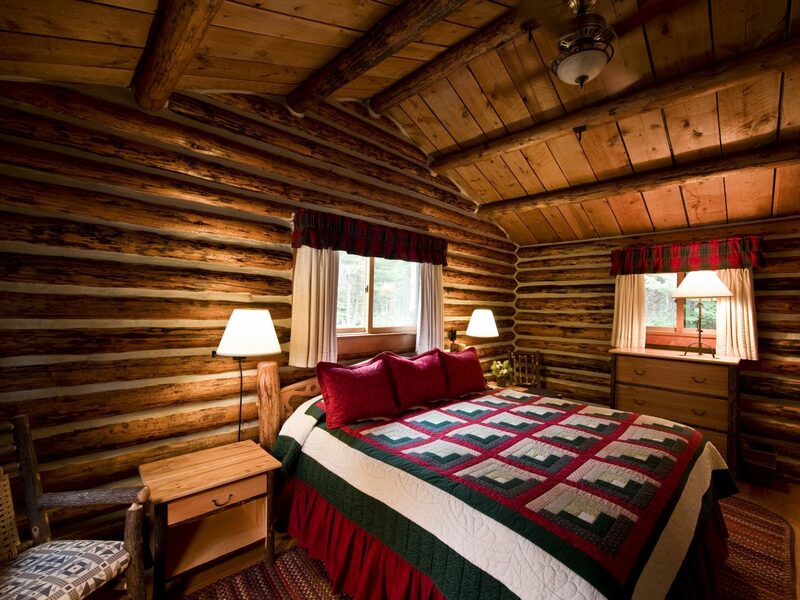 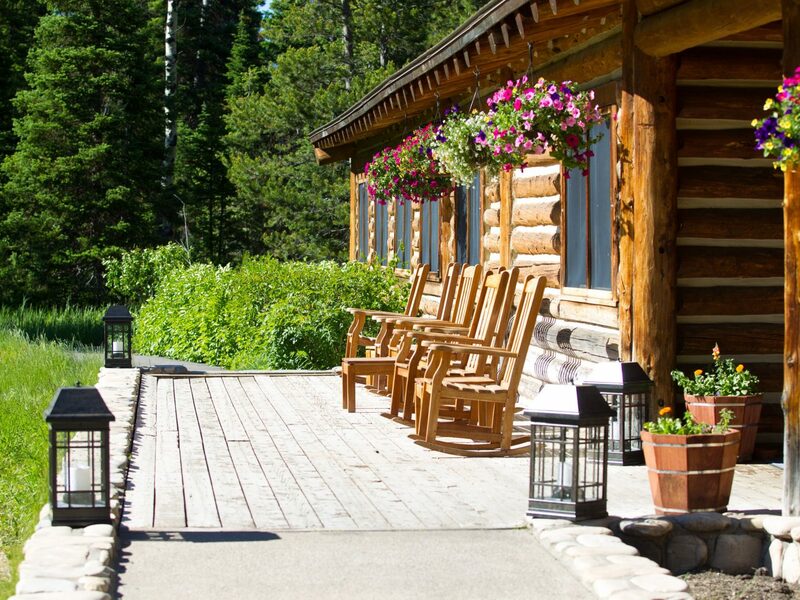 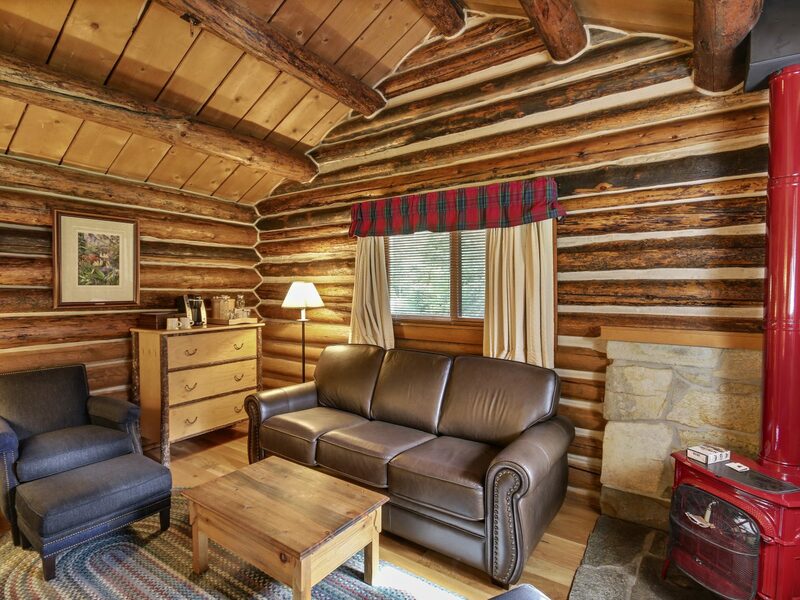 Nestled at the base of the majestic Tetons, the historic cabins at Jenny Lake Lodge mix Old West charm with modern comforts like luxe bedding, mini-fridges, and free WiFi. 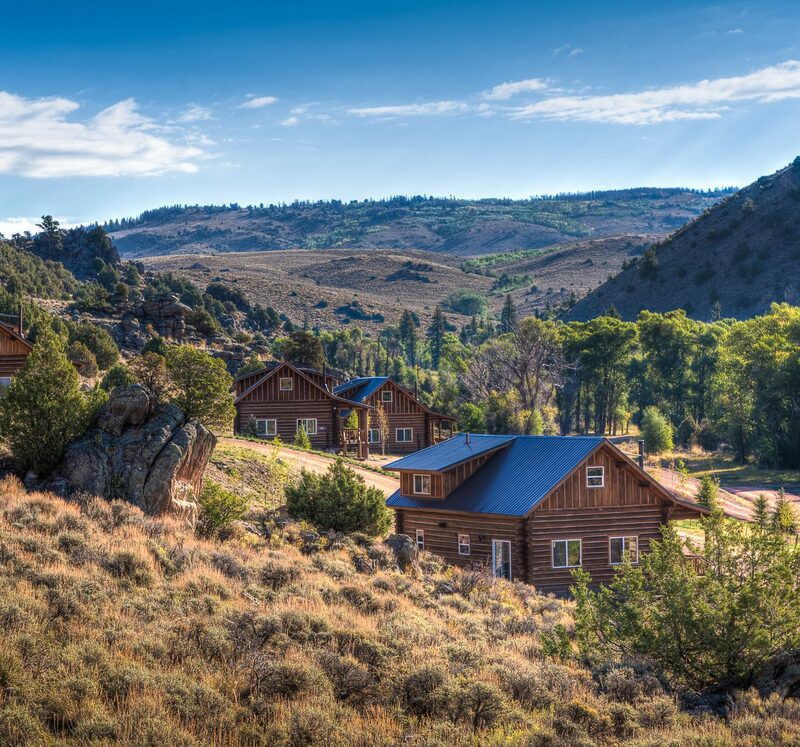 The all-inclusive rate provides a lot of bang for the buck, with breakfast and a five-course-dinner daily as well as complimentary activities like morning yoga, stargazing, ranger talks, and the use of cruiser bicycles. 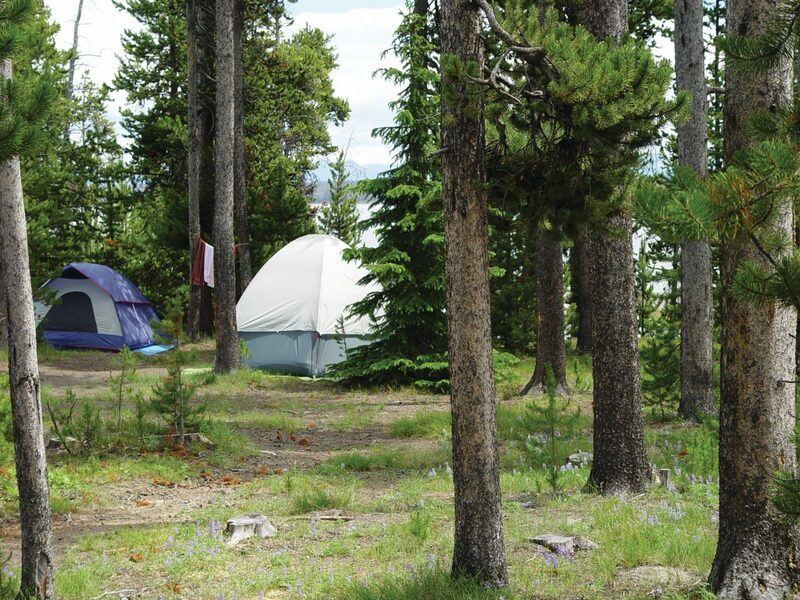 In the park, visitors can venture to Emma Matilda Lake for Teton Range views on horseback, raft the Snake River, and canoe on Jackson Lake. 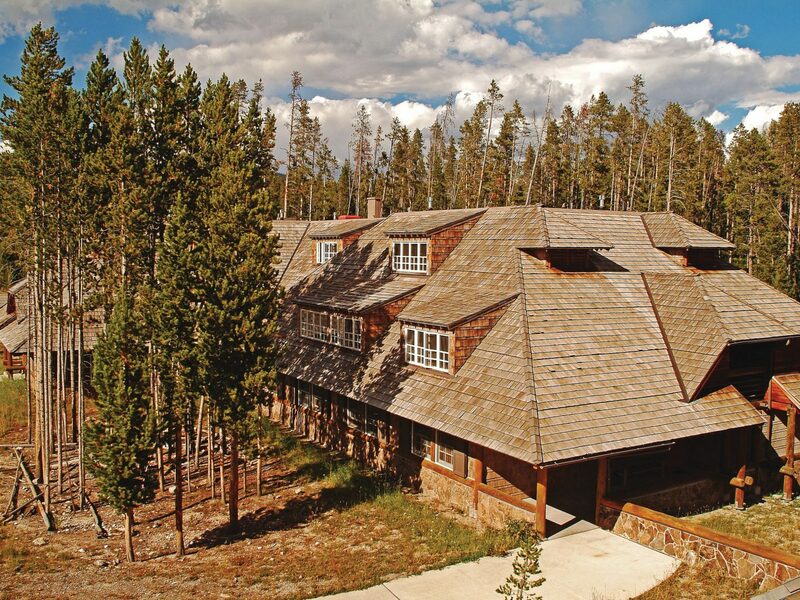 A just-completed, $19 million renewal project of Jenny Lake also means visitors this summer can access the new viewing area at Hidden Falls and make use of reconstructed trails. 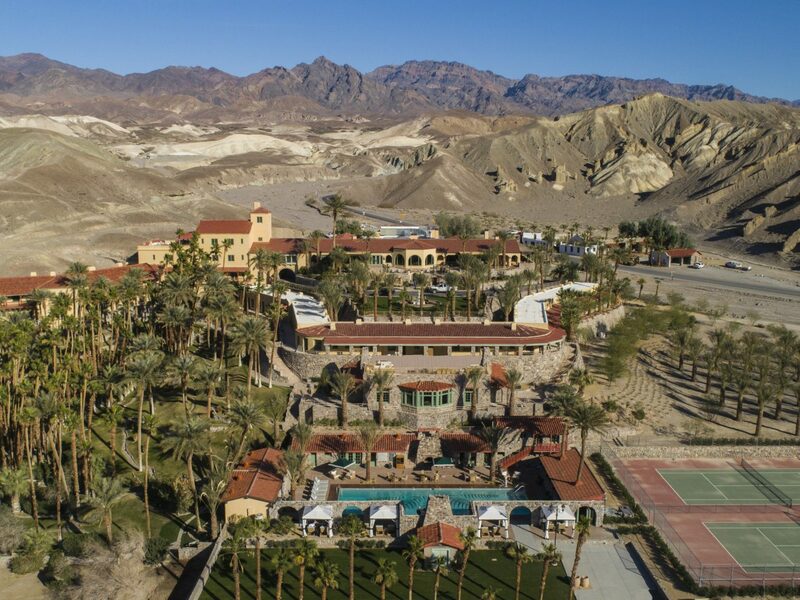 Following a multi-million-dollar revitalization, this elegant Inn is now a year-round oasis in the heart of Death Valley, drawing visitors with gardens of date palms, a spring-fed swimming pool, and a topnotch spa. 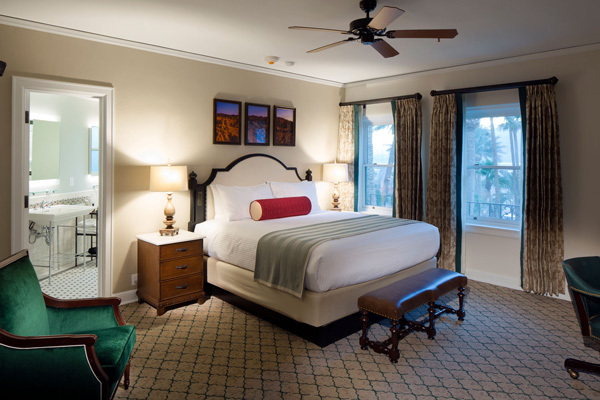 Guest rooms were included in the revamp as were 22 new garden casitas opening this summer, each with a golf cart for scooting around the grounds. 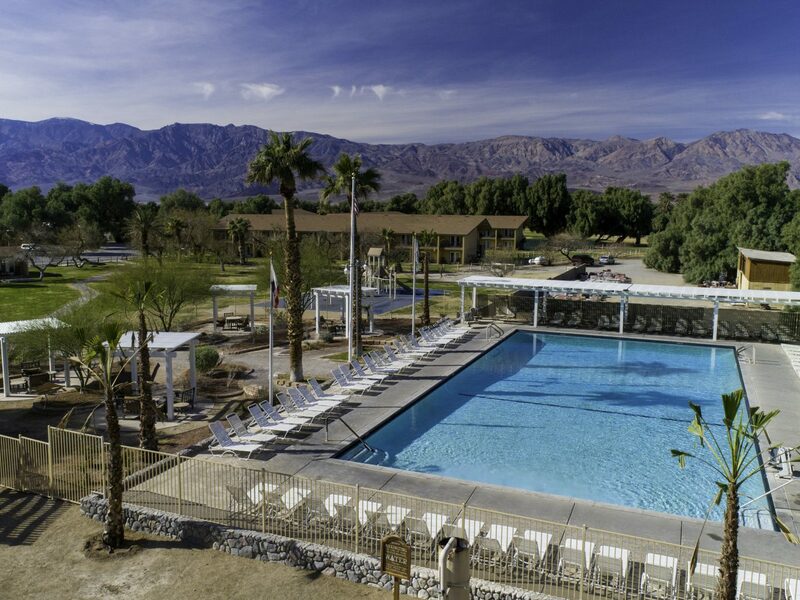 During a stay, guests can play a round at Furnace Creek Golf Course (the lowest in the world at 214 below sea level), take a horseback or carriage ride through the arid scenery, and relax with a drink on the Stargazers Deck. 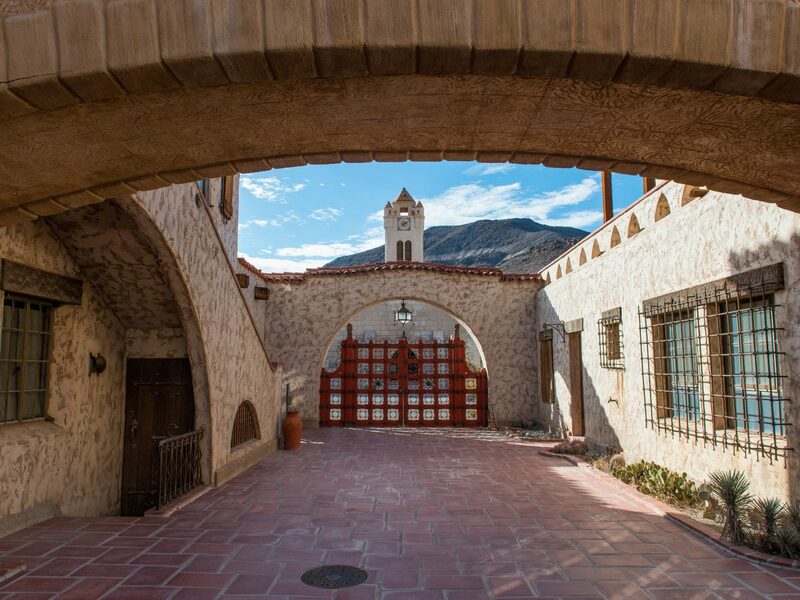 For exploring the more remote parts of the park, hire a four-wheel-drive Jeep Wrangler from the rental company across the from the Inn, which includes free maps, trip planning and—essential for the desert—a chest full of ice.